A bed decorated in a “Jurassic Park” theme was part of the event. Each year in a northern Detroit suburb, car enthusiasts flock to the Motor City's most-anticipated outdoor auto event. The Woodward Dream Cruise takes over Royal Oak's Woodward Avenue on the last Saturday of August for a slow-rolling car show that boasts some of the best-kept classic cars, super-charged engines and the occasional wacky paint job. And for the past five years, a second Dream Cruise has been wheeling down the halls of Beaumont Children's Hospital on the same day. Just out the window of Beaumont, one can see Woodward Avenue and the hundreds of people lining the lawns on picnic blankets and folding chairs. Inside, patients come to the doors of their rooms for a front-row seat to a “cruise” of elaborately crafted cardboard floats coming down the hallways on disguised hospital beds. Thanks to this special event, the kids get to join in on an annual Detroit tradition tailored just for them. Each department of the hospital—including the ICU, surgical and all others—creates its own unique float. 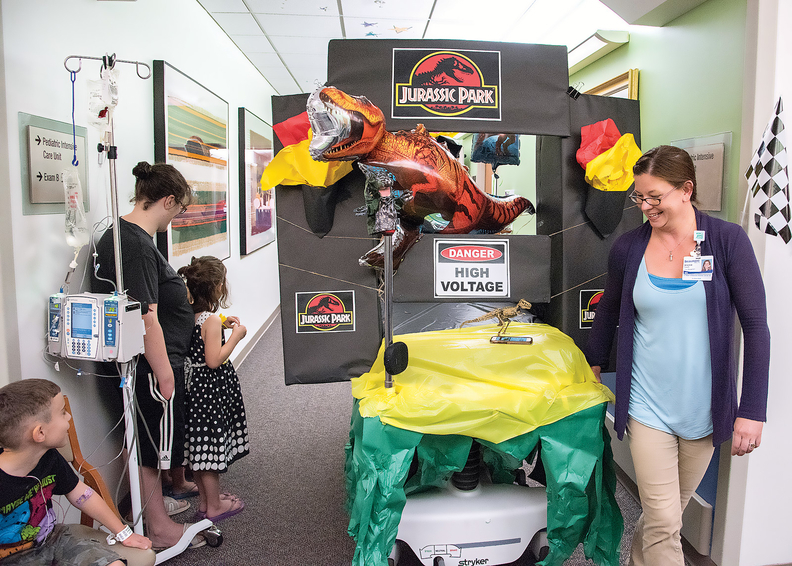 Hospital staff teamed up with patients and other volunteers this year to bring floats with “Star Wars,” “Jurassic Park” and other themes to life. The “cruise” winds through the hospital each year and outside to the Children's Miracle Network Garden, where a '50s-style car-themed sock hop waits with face painters, remote-control car races, photo booths and other games and prizes.